Dean from Australia: The Victorian Trooper #11 - Legacy & Tapestry: Joseph Ladd Mayes Jr. The Victorian Trooper #11 - Legacy & Tapestry: Joseph Ladd Mayes Jr.
Joseph Ladd Mayes Jnr. was born on the 8th December 1886 at the Kyneton Hospital, near Lancefield in Victoria, the fourth child of Joseph Ladd and Eugenie Mayes. We can only guess at Joseph's childhood but the bulk of it would have been spent in the country town confines of Lancefield, living a tranquil, rural existence as the son of a highly respected policeman. He most likely attended the local Primary School with his older sisters Florence, Dorothy and Eugenie and, being the first young boy sibling they would have experienced, there's a better than even chance the young Joseph Ladd would have been doted on by them. It would appear that Lancefield had everything the Mayes family could want and need during those early years and one can only guess that they had a happy existence for the time. Joseph Jnr. 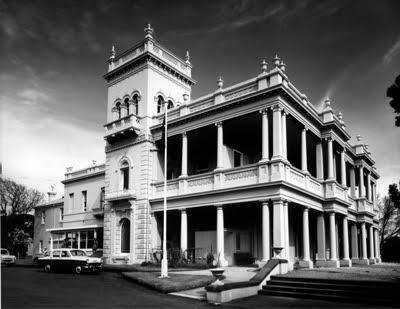 was 9 years old when his father retired from the Force in 1895 and the family decided on a move from Lancefield to the City. I wonder how the move from the country to the relative bustle of suburban Brighton would have affected the young Joseph and his sisters. Where would they have gone to school? Were there regular trips the beach? Visits to the City on the expanding Melbourne tram network? By the time of his father's death in 1902, Joseph was 15 years old. We know that his first occupation was a laborer for the Victorian Railways and this is where we find him at the outbreak of World War 1 in 1914. Living with his mother at New Street in Brighton, Joseph Ladd answered the call to arms and enlisted in the AIF on 12th October 1915. It is from his subsequent service record that we are able to glean much information. It appears that Joseph Ladd intended following in the footsteps of his father as we see that he served seven months in the Australian Light Horse before his enlistment in the Australian Imperial Force. We currently don't know anything more about this period. By early 1916, recruiting in Australia had raised sufficient troops to replace the ANZAC losses. Having completed basic training in Toowoomba in Queensland, Joseph Ladd emabarked for Eygpt on the 31st January 1916 to join the 4 divisions that were amassing there for the push onto Europe's Western Front. In March 1916, the Australian Imperial Force moved to France, and by July/August, the Australians were heavily involved on the Western Front. As part of the 9th Battalion, (3rd Brigade) of the AIF's 1st Division, Joseph Ladd Mayes was embroiled in the fierce fighting of the Somme offensive at Pozières & Mouquet Farm. Over the course of six weeks, the AIF suffered aproximately 28,000 casualties. On the 23rd July, Joseph Ladd Jnr. sustained several gun shot wounds to his left elbow and was shipped to England via Calais. At Cambridge, far from the front, he spent the next five months recuperating. Reviewing his Army service record, it is somewhat amusing to note that Joseph Ladd Mayes was absent without leave for a period of 15 days from the 29th December through to the 12th January 1917 for reasons unknown. One wonders whether the New Years festivities might have had a part to play in this little "vacation". It is tempting to think that Joseph Ladd Jnr. might have enjoyed a raucous time, perhaps in Cambridge or London. It is a mystery but, in any case, when he finally turned up, Joseph Ladd Jnr. was immediately charged, found guilty and was fined a total of 33 days pay. 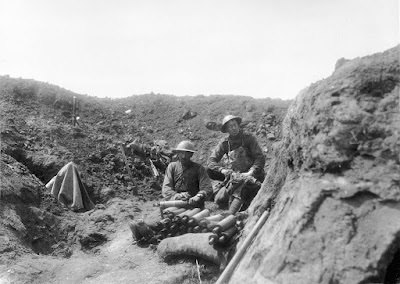 By May 1917, the Australians were heavily engaged at Bullecourt in the North East of France. His service record entries put Joseph Ladd Jnr. Bullecourt where the Anzacs endured some of the fiercest fighting of the war, facing German machine guns, barbed wire and the trenches of the Hindenburg Line. The Australians suffered some 7000 casualties from the battle. One of those casualties was Joseph Ladd Jnr. He sustained severe artillery wounds to his left thigh, pelvis, buttocks and lower spine. Considering the gravity of his injuries, he probably should have been killed. Somehow, Joseph Ladd survived to be shipped to the Southern General Hospital in Birmingham England. Remarkably, Joseph would recover from his injuries but he would never return to active duty. A rather utilitarian letter was dispatched home to Australia, informing his mother Eugenie of his injuries - no doubt causing her great anxiety until she was able to contact him to ensure he was safe. Joseph Ladd Jnr. spent the remainder of 1917 in England recovering before returning to Australia - much to the relief of his mother. He was home in Brighton for New Years Day 1918 - as attested to by the precious photographs that found their way into our collection. Surprisingly, his greivous injuries appear not to have deterred Joseph Ladd Jnr. from trying to re-enlist in the Army. He tried no less than three times in the period from 1918 through until 1920. Owing to his injuries, however, her was unable to gain much more than a clerical posting and, by 1920 it appears he'd given up on a ongoing career in the military. Discharged from the Army, Joseph Ladd Jnr. returnend the Victorian Railways Department as a clerk, based in the Melbourne suburb of Greensborough. Joseph Ladd Jnr. met Gertrude Rose Stock at Greensborough, Victoria and the two married in 1919. Together Joseph and Gertrude would have 9 children starting with John Joseph in 1919 followed by Mavis Jean (1921), Edward George (1923), Allan (1925), Kathleen Jean (1927), Ivan (1929), Donald Gordon (1931), and Margaret (1933). Joseph Ladd Jnr. suffered declining health, throughout the 1930's, the ongoing result of his war injuries and he retired from the Railways Department. It appears he was in and out of a military hospital at Caulfield, while maintaining a residence at Andrews Sreet in Ringwood. Sometime after the birth of Margaret in 1933, his marriage to Gertrude Rose broke down - most likely due to his war experience and its damaging after effects. She left her husband, raising their children single handedly in a house that was regarded as immaculate. Gertrude Rose herself had a reputation as a outstanding cook and could serve up almost any dish imaginable. Gertrude eventually moved to Warracknabeal in Western Victoria. Joseph Ladd moved to the Anzac Hostel at Brighton. Previously known as Kamesburgh, the Anzac Hostel became a home for permanently incapacitated WW1 veterans. From left to right, are: Mr Joseph Mayes, 1st AIF; Mr F Leach, orderly; Mr Albert (Wardie) Ward, 1st AIF, whose bed is in the collection of the Australian War Memorial; and Sister E M Flower, assistant Matron. 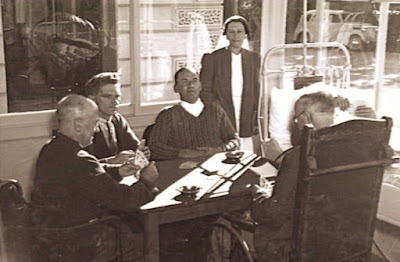 The patient in the wheeled bed is Mr Harold Wiseman, one of the first residents to arrive at the Hostel when it opened in July 1919. Joseph Ladd Jnr. spent his later years at the hostel. 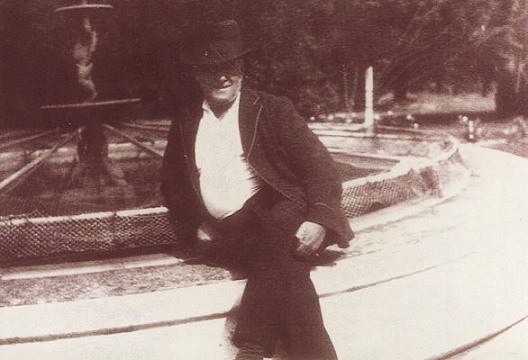 A family anecdote tells of his son Edward George Mayes making regular visits to his father and spending time with him. 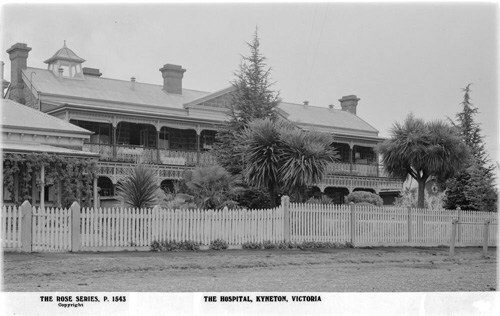 It was Joseph Ladd who introduced his son "George" to one of the Nursing Assistants at the Hostel, the daughter of a farming family from rural Victoria named Dorothy Preston. A romance soon blossomed between the young couple and George and Dorothy Mayes married during the height of WW2. Taken at the Anzac Hostel, Brighton c. 1940s. I imagine Joseph Ladd Mayes had a reasonably comfortable life at the Anzac Hostel - as comfortable as 1940's medicine could cater for. It seems to have been a well euipped facility with lovely gardens and set well back from the bustle of the surrounding city. I had the opportunity to take a tour through the former hostel in the early 2000's. By then, it served as a private school, though it retained all of its original character. You could feel the spirits of the past there. Joseph Ladd Mayes Jnr. died, July 18th, 1955 and was interred at the Springvale necropolis. His estranged wife, Gertrude Rose died in Warracknabeal in 1966 and was buried at the Burwood cemetery.